coachingbiz: How balanced is your life, coach? Carol McLachlan BA(Hons) FCA provides bespoke one-to-one business start up and business development support for coaches and their businesses. 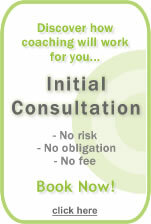 To find out more about services for coaches, click on the links below. Seo demystified. A step by step guide written in language you can understand. Targeted traffic is the lifeblood of your business. Take the first step to getting more visitors to your website today. How balanced is your life, coach? Think Life Coach. Think Work Life Balance. A friend of mine thinks it’s really amusing to wisecrack every time I’m late or can’t make an appointment. ‘You need a Life Coach’. Ha! Ha! Ha! But I am a Life Coach! How did that happen, then? Ok, we all do different types of coaching but you can’t get away from the mass perception that there should be a bit of balance in there for us coaches, work-life, wheel of life, whatever. They sure expect us to ‘walk the talk’. And shouldn’t we expect to be walking that talk ourselves? Even when I’m coaching on a totally different subject, perhaps in a corporate environment with a bunch of accountants, I want to be seen to be in control of my life balance. I want to be in control of my life balance. I want to be role model. As a coach, the concept of a life in balance truly is one of my personal core values. Is this a problem for us coaches? Or do we practice what we preach and live a life of perfect balance? Well, quite frankly, how could we? We’re only human. Balance in life changes over time; year on year yes of course, but also week by week, even day by day sometimes. Yes, we might have our long term vision sorted, we might even have a plan on how to get there but like everyone else we have to do a fair bit of juggling. You know the adage ‘we have time to do whatever we want, just not everything we want’. We have to choose. It’s that declining empowerment spectrum of the 24/7 economy, too many OORDCs (opportunities, options, responsibilities, demands, conflicts). The Victorians worked 60 hours per week, 51 weeks a year, but they didn’t have same angst regarding life balance as we do. Why? Because they had many, many fewer choices and much lower expectations. Life balance is about being able to make the choices and take the opportunities we want to, without having to target one desired goal at the expense of another. Just like anyone else, coaches need sufficient control and autonomy to make informed choices in life and work to enable us to do what we want and need to do, when we need to, at any specific point in time. That to me is what life balance really means: being empowered to respond to preferences and priorities without having to make painful sacrifices elsewhere. So what’s different for coaches, besides having to ‘walk the talk’? Well for a start many of us work from home. Seen by many as the solution to the work-life balance conundrum, there are some really nice perks to working from home but there are some nasty challenges too. First, there’s ‘seepage’, whether work into home life or vice versa. A University of Teeside study showed that stress levels of home workers are in fact no lower than those of average employees. And that’s usually due to seepage between home and work, not being able to disconnect from one or the other. Often coaches have portfolio careers. As well as being self employed coaches we may also be working for someone else, either full or part-time. 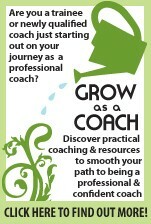 We might be combining coaching with writing, speaking, training or other careers. If you’ve read the E-Myth you’ll also know about the challenges of having to multi-role; you have to be an entrepreneur, manager, technician and you have to build and run a business as well as delivering a service. Major juggling again, which can lead to substantial overwhelm. And like it or not the self employed are not always rushed off their feet with work. It can come in fits and starts, mountains and valleys, feast and famine. We are not always as busy as we might like and this can lead to disbalance too, with an accompanying effect on our finances At the other extreme work seepage occurs when we feel we can never cut off from the business for fear of losing a prospective contract (you know the ‘blackberry on the beach’ syndrome. Do we know what’s work what’s play? For the coach, the distinction between the two can be blurred. This can be great – doing your ‘technical’ reading at the weekend because you love it. But disconnecting at end of work day can be a problem. If you work from home, home becomes less relaxing – you can never actually physically get away from work, unless you are lucky enough to isolate work to a completely separate part of the house. .
What a gloomy picture I paint. You’ll be wondering how all this doom and glooms fits into the idyllic life of the coach. And of course there are some wonderful benefits to a coaching career; following our dream, realising our vocation, delivering value and giving back. But I spin a cautionary to tale to raise your awareness. Please do not take your life balance for granted. Like everyone else, a coach needs to work on it, not just once but on an ongoing basis; revising your vision and your strategy, ensuring your goals are aligned to your personal values and those of your stakeholders. You will need a measure of self-assertiveness to stand up for your wants and needs. You’ll need to be able to say no to unreasonable demands and this must be backed by sound self belief in what you do. You’ll need to set boundaries between home and work, plan structure for your day and actively manage your time with distinctive methods of operating in work and home mode. And you must communicate all of this. In return you can enjoy the flexibility to take time off when you want it (‘time off in lieu of overtime’), work your own hours - exploiting your most personally productive time of the day, make time for the things that matter most to you. And best of all, you can follow your dream. fantastic publish, very informative. I ponder why the opposite specialists of this sector do not notice this. You should proceed your writing. I'm confident, you've a great readers' base already! You shoujld take part in a contest for one oof the best bloggs on the web. I am going to recommend this website! I am extremely impressed together with your writing abilkities and aloso with the format to your blog. Is that this a paid topic or did you modify it yourself? Either way keep up the nice quality writing, it's rare to see a nice blog like this one today.. I love reading through an article that will make people think. Also, thank yoou for allowiong for me too comment! Hey! This is my first comment here soo I just wanted to give a quick shout ouut and tell you I really enjoy reading through your articles. Can you recommend any other blogs/websites/forums that deal wkth the same topics? Thanks! Genuineloy whgen someone doesn't be aware of after that its up to other viewers that they will help, so here it occurs. It's actually a cool and helpful piece of info. I'm glad tuat you just shared this helpful information with us. Please keep uss up to date like this. Thanks for sharing. Hello it's me, I am also visiting this web site on a regular basis, this site is genuinely fastidious and the users are actually sharing good thoughts. Thanks for another informative site. The place else may I get that type of info written in such an ideal method? I have a challenge that I'm simply now working on, and I've been at the glance outt for such info. An impressve share! I have just forwarded this onto a co-worker who has been doing a little research on this. Annd he in fact bought me dinner because I stumbled upon it for him... lol. So allow mee to reword this.... Thank YOU for the meal!! But yeah, thanks for spending tthe time to discuss this issue here oon your website. Marvelous, what a webpage iit is! This blog prolvides helpful data to us, keep it up. http://www.sacbandouliere.net/sac-bandouliere-homme/ on How balanced is your life, coach? barre de son samsung on How balanced is your life, coach? www.minifour.org on How balanced is your life, coach? www.montreguesshomme.net on How balanced is your life, coach? www.smartphonepascher.org on How balanced is your life, coach? http://www.sacbandouliere.net/sac-bandouliere-femme on How balanced is your life, coach? répéteur wifi on How balanced is your life, coach? pico projecteur on How balanced is your life, coach? www.litparapluiepascher.net on How balanced is your life, coach? Is your coaching business struggling?